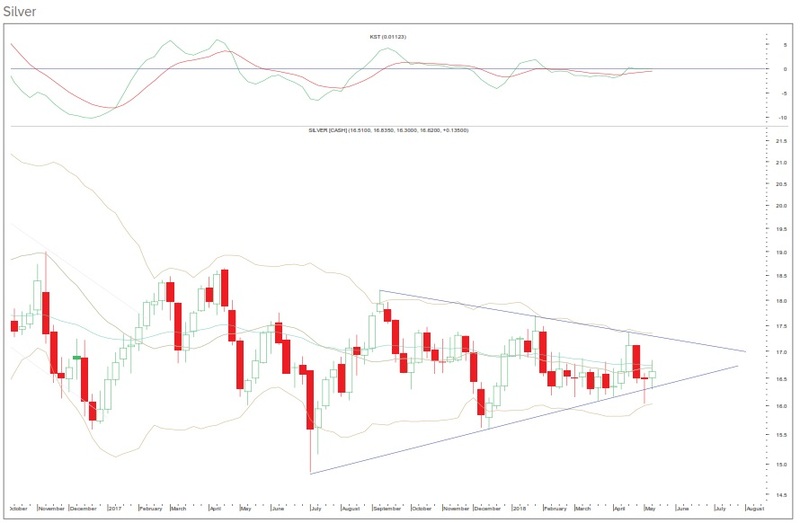 On the weekly chart, silver is consolidating in a triangle pattern. Currently, it has touched the lower end of the triangle and has bounced back. On the way down, 16.30 – 16.04 will be a crucial level in the near term. On the way up, 16.98 – 17.26 will be crucial resistance. 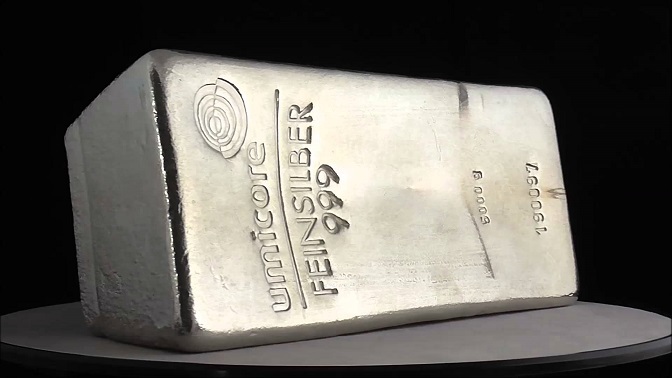 A breakout from the triangle will determine the trend of the white metal going forward. However, we believe the white metal should break out on the upside. Therefore, we remain bullish on silver as long as it does not close below 16.04. The weekly momentum indicator is bullish.